As the week of Thanksgiving wraps up, so begins the ofﬁcial holiday season — a time for giving back. That’s just what the ladies of Edgewater Place Assisted Living in Plain City did this year. 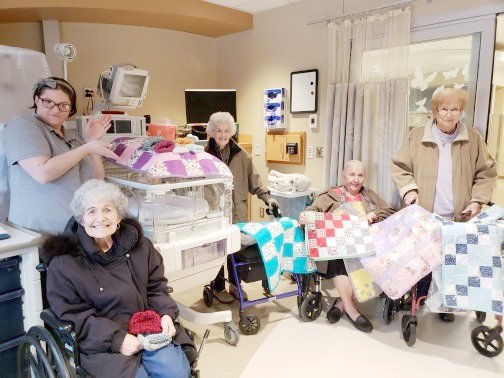 The residents have put together 8 quilts for the babies and nearly 20 hand-crocheted beanie hats that they plan to donate to the hospital ahead of Thanksgiving. In addition to the quilts, they are working on hand-made dolls and craft kits that will be donated to Nationwide Children’s Hospital. Crocheted socks are in the process of being made and Justice said donations are coming in from residents, staff and family members to go to the local Daily Needs Assistance in Plain City to help those in need in the community.